2:10 Thirsk - PEARL ACCLAIM 8/1 hasn't shown any good form on soft ground and shouldn't be priced in single figures. 3.20 Thirsk - PIPERS NOTE 11/2 may not like the soft ground and also a longer trip would help so it looks poor value. 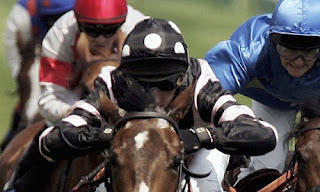 3:55 Thirsk - ZYLAN 8/1 may not like the going and this class might be too good for it to be able to win.